Caught these two fish on back to back casts. 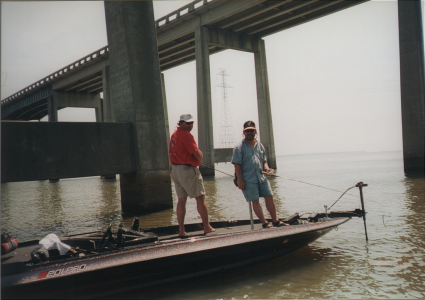 Temperature was 21 degrees on 9 November 1996 at Lake Murray. Caught the 6 pounds and 5 ounces using a 1 ounce white spinnerbait, letting it slowly helicopter down at a brush pile. After putting the first fish in the live well, turned around and saw some fish breaking the top of the water in the middle of the cove. Casted the same spinnerbait out past where the fish was feeding. Slowly retrieved the spinnerbait, and the 7 pounds and 3 ouncer hit it hard. I threw another cast in the same spot, and caught a third fish, but it was too small to weigh in, so I released it. Both fish was released alive after weigh-in. Fishing around the I-95 bridge on Lake Marion, May 27, 2000, with Ronnie Crapps on my old Stratos 201 Pro. An hour before this photo was taken, coming out of a small cove next to the bridges, I lost a 5 to 6 pound large-mouth bass. I had white 7" Zoom floating worm drifting in the current, with my rod under my arm, while I was lighting a cigarette. I felt a strong tugging at my line, I grabbed the rod and started reeling. Ronnie and I saw the fish, before he could grab the net, the fish shook it's head, and tossed my floating worm and hook out. About 30 minutes after losing that fish, I decided to fish deep around the bridge pilings, with a 10" Mann's black worm. 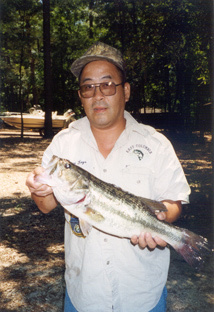 I hooked another 5 pounder large-mouth bass. With the road traffic noise so loud, Ronnie couldn't hear me yelling for the net. He turned around, and saw the fish at the side of the boat, when I was trying to hoss it abroad. Two poor hook sets results in two lost fish. 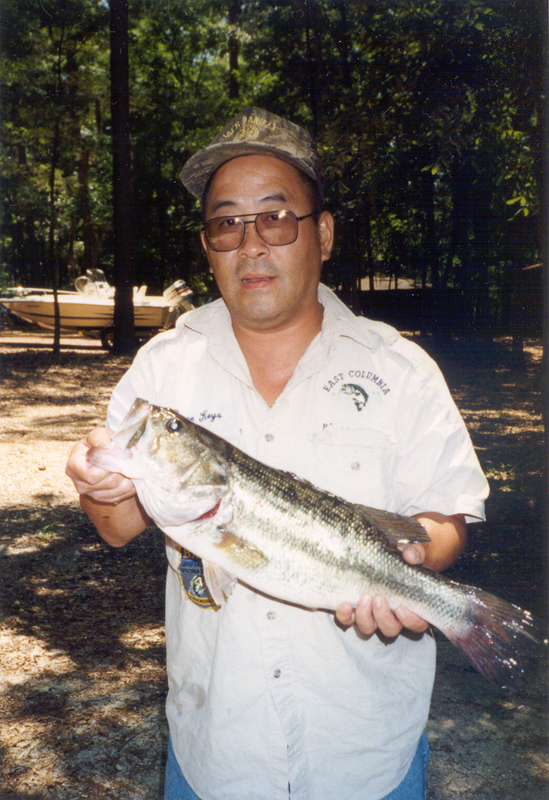 Caught this 5 pound largemouth bass at Lake Marion, May 29, 1999. Was caught with a white Zoom floating worm, in the inlet of Polly's Landing. Was released alive back into the lake. FAIRBANKS - A team that includes two University of Alaska Fairbanks students has won an engineering competition for its ideas for extracting North Slope heavy oil. UAF students Max Martell and Stephen Nemethy III, along with Sally Ann Keyes of Purdue University, claimed the 2014 Petroleum Engineering Challenge. The students will claim a $2,000 prize from UAF eLearning and Distance Education for the victory. Heavy oil is abundant but challenging for North Slope producers. Reserves of more than 30 billion barrels have been identified, but recovering a dense, thick substance with the consistency of peanut butter has been a vexing issue. In 2012, only 6.5 percent of North Slope production came from heavy oil. Heavy oil is commonly extracted by adding heat, but that can present problems in permafrost-covered areas. The winning team in the challenge decided to go the opposite route - Martell, Nemethy and Keyes proposed using sub-freezing fluids, such as liquid carbon dioxide, to keep surrounding areas frozen. The contest was designed by UAF assistant professor of petroleum engineering Obadare Awoleke as a way to spur online collaboration and problem solving. It attracted more than 75 submissions from 14 universities, including institutions in Brazil and Germany. Martell said the collaborative approach benefited their team greatly. He and Nemethy are both petroleum engineering students, and they relied on Keyes' skills as a mechanical engineering student to understand heat transfer. Martell and Keyes met last summer while working as NASA interns. A long-distance collaboration seemed daunting at first, Martell said, but the benefits quickly became apparent. "When we started working on it, it became fun," he said. Owen Guthrie, a UAF eLearning instructional designer who worked on the contest, said the project was as much about getting students to work together as solving heavy oil problems. A collaborative online community of petroleum engineers and students was created to foster cooperation among its roughly 170 members. "With modern technology, that's a pretty easy thing to do, and addressing challenges with colleagues from other institutions is a very real-world situation that students are going to find themselves in," Guthrie said. The contest also got the attention of leaders in Alaska's oil industry, who praised the creativity of many of the entries, Guthrie said. "We worked with people from BP and ConocoPhillips, and they were pretty impressed," he said. Awoleke plans to continue to offer the challenge annually. This web site is now hosted on a new Business Class Web Hosting plan from Arvixe. The crew that designed and built Purdue Solar Racing's 9th vehicle, Navitas. The crew that designed and built Purdue Solar Racing's 9th vehicle, Navitas, with Josie Miller-Hack, Emily Petersen, Ty Widell, Maxine Hwang, Adam Loesch, Anthony Geyer, Cody Thorson, Matt Miller, Nathan Koerschner, Mark Schmidt, Sean Zimmerman, James Gilbertson, Alex van Almelo, Zack Lapetina, Sam Stevenson, Brian Kelley and Kevin Wang. WEST LAFAYETTE, Ind. 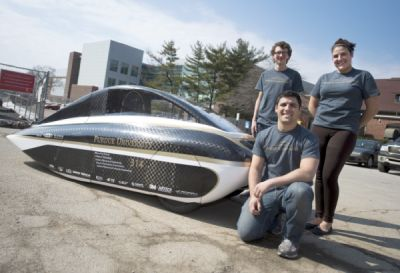 - Students from Purdue University will race a new solar car this week in an international competition to create the most fuel-efficient vehicles. The car, Navitas, was designed and built entirely by students and will compete in the Shell Eco-marathon Americas 2013 from Friday (April 5) to Sunday (April 7) in Houston. The team won last year's Solar Urban Concept category with a different car, Celeritas, achieving an efficiency equivalent to 2,325 miles per gallon. Navitas is about 250 pounds lighter than Celeritas, weighing in at a scant 200 pounds, said Zack Lapetina, president of Purdue Solar Racing. The car's body and chassis are made primarily of lightweight carbon-fiber sheets sandwiched around a honeycomb center to add strength. Much of the weight reduction was achieved using a lighter composite, along with carbon fiber wheels and a titanium roll cage instead of steel. The student team also streamlined "communication protocols" to reduce wiring complexity and the weight of the electrical systems, he said. Navitas - the Latin word for energy - represents an ongoing legacy: Purdue Solar Racing began 22 years ago, producing nine vehicles since then. About 35 undergraduate students are involved in the project in teams focusing on the car's electronic and mechanical systems, business, marketing and fundraising functions. The vehicle is equipped with a system to concentrate sunlight for some of the solar cells, an innovation borne out of necessity. Whereas in previous years the cars could be covered with photovoltaic cells, they are now limited to .65 square meters of coverage. The students attacked this challenge by using high-efficiency satellite-grade cells for a portion of the car and Fresnel lenses, which magnify sunlight, for the remaining lower-quality cells. "We designed a passive mirror array that, in combination with the Fresnel lenses, gives us a wide angle of acceptance of incoming light," said Lapetina, a senior in aeronautical engineering. "This helps us to maximize the solar energy reaching the solar cells regardless of the direction our car is facing or the angle of the sun. This is a huge innovation because they magnify the sun's energy three times." The photovoltaic cells convert sunlight into electricity to charge a bank of lithium polymer batteries, which then power a motor that drives one of the rear wheels. Another innovation is the car's touch-screen dashboard, which provides GPS coordinates, battery level, solar array performance and other vital information, as well as a music player. Participating students gain an employment edge, said Lapetina, who will work for General Electric Co. after graduating. "The innovations in Navitas were achieved solely through the hard work and dedication of student members," said Galen King, adviser and professor of mechanical engineering. The work is entirely voluntary, with students receiving no course credits. The Shell Eco-marathon Americas 2013 roster includes more than 150 teams from colleges and high schools in the United States, Brazil, Canada, Mexico and Guatemala. Also leading the Purdue solar-car project are James Gilbertson, vice president of engineering and a mechanical engineering senior; Sally Ann Keyes, vice president of operations and a sophomore in mechanical engineering; Cody Thorson, vice president of business and freshman in cell and molecular biology; Emily Petersen, treasurer and sophomore in nuclear engineering; Zhe Kevin Wang, senior in mechanical engineering; Alex Van Almelo, a senior in computer engineering; Brian Kelley, a senior in computer engineering; Zack Smith, a senior in electrical engineering; Adam Loesch, graduate student in aeronautics and astronautics; and Mark Schmidt, a freshman in the First-Year Engineering Program. I captured and converted 5 movies from 8MM to flash video, and one from my Nikon D90 Camera. The one is from the 4th of July 2009 of the Family Gathering. There are three of Marie when she was a baby, I broke it down into 3 parts, of 5 minutes each. The other two are of Marie at a Family Reunion we had back in the late 80's. I added four new photo albums of my daughter Marie and her family. These photos are from 2007 and 2009. One of my grandson's 1st birthday and 1st Halloween. I added the 1995 Keyes Family Reunion Photo Album on the Photo Gallery page. These photos are from a family reunion we had in July 1995, the photographer was Nita Capps. I added another five albums to the Photo Gallery. Look for the Bassclub 1995, Bassclub 1996, Bassclub 1997, Bassclub 1999, and Bassclub 2000 Photo Albums on the Photo Gallery page. 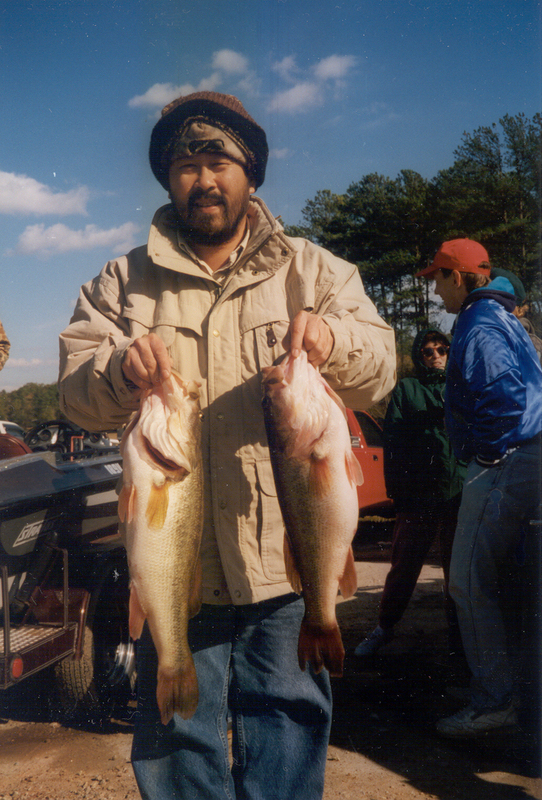 These photos are from my 5 years I spent with the East Columbia Bassmasters Club. I added a new photo gallery, titled, 'More Old Photos'. These photos are the same ones I posted over on Facebook.